4. From the Export Range section, decide whether you would like to export the entire scene (All) or just a selected frame range. If you decide on the latter, be sure to enter in the frame range in the fields provided. 5. In the Resolution section, choose a preferred resolution ratio from the drop-down menu or select Custom to enable the custom Width and Height fields and type a specific size. 6. In the Options section, click on the Movie Options button. • 1. Video: Check this box to enable the customization of the video settings, filters and size. • 2. 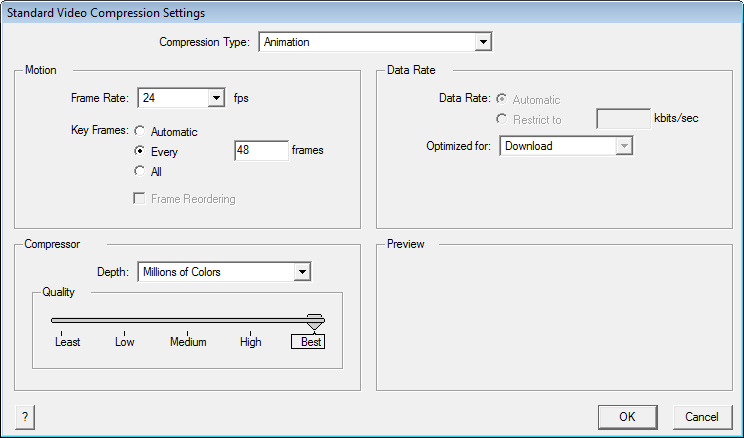 Settings: Opens the Standard Video Compression Settings dialog box (see below). • 3. Filter: Opens the Choose Video Filter dialog box, where you can select from a range of filters to apply to your video export. • 4. Size: Opens the Export Size Settings dialog box. The size settings are overridden by the Animate's scene settings. • 5. 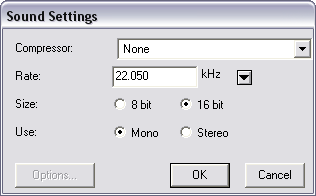 Sound: Check this box to enable the customization of the sound settings. • 6. Settings: Opens the Sound Settings dialog box (see below). • 7. Prepare for Internet Streaming: Check this box to enable the customization of the internet streaming options. • 8. Internet Streaming drop-down: Select from the drop-down menu options for the type of streaming best suited for your needs. 7. In the Video section, click on the Settings button. 9. 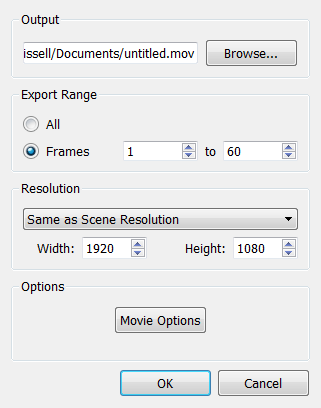 In the Motion section, choose your Frames per second from the drop-down menu. By default, it will be set to match the frames-per-second (fps) of your Animate project. If you choose a lower frame rate, your export play back will be faster than your actual project. The reverse is also true for a higher frame rate. 10. From the same section decide whether you would like key frames inserted by checking the Key frame every box, and if so, the number per frame. 11. From the Compressor section, choose a Depth based on your movie’s needs, for example, Millions of Colours+ houses an alpha channel. 15. Click the OK button when you are finished. 16. From the Movie Settings dialog box, click-on the Sound Settings button. 17. 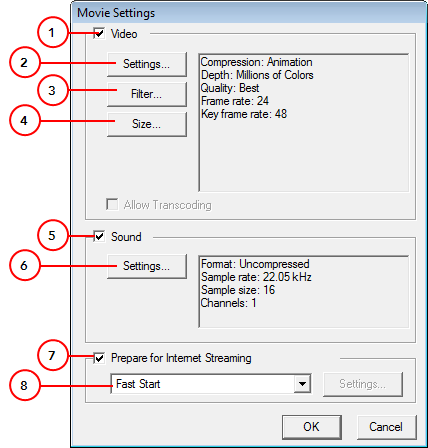 From the Compressor drop-down menu, choose a compression type. 20. Click OK when you are done. 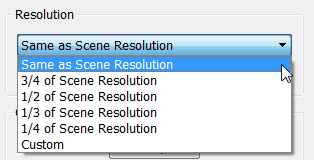 If you feel that your exported video is either to small or too large, change your project size from the top menu under Scene > Scene Settings. This will change the size of the video output.